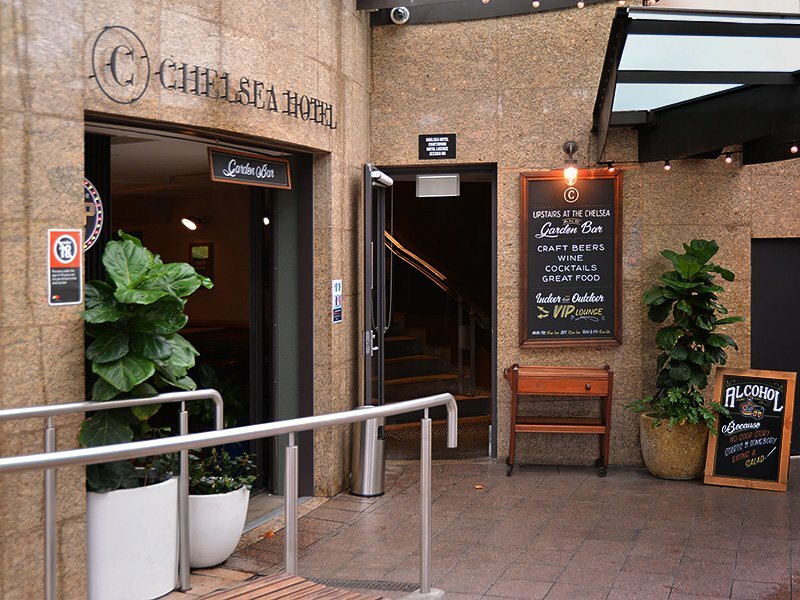 Chatswood offers some great options for chilled afternoon/night drinks or pre drinks for those headed to the city. The Orchard Tavern and Chelsea Bar are two great examples. Disembarking at Chatswood train station lands you between the two bars that are great options for anyone looking for a bit of fun. On the Westfield side, just above Seven Eleven as you ascend the stairs to the shopping centre promenade, lays the Orchard Tavern. This unassuming and apparently small tavern surprisingly comprises three bars, a roomy beer-garden, a traditional pub and even a gaming lounge and two pool tables. Friendly staff and a relaxed environment make for a great time, every time. The tavern provides traditional pub-style meals; burgers or pizza for $12.50, and bar favourites for $15 including steaks, schnitzels and fajitas are some of the options. 31 beers are on offer for an average price of $6.50 per schooner. Craft beers from James Squire, Little Creatures, Lord Nelson and White Rabbit are also on offer but cost $6.50-8.50 a schooner. Offering more international beers than domestic, the range of options provided is impressive. The list of wines adds to the many options including sparkling, white, rosé and red wines which are sold by the glass or the bottle. A recent edition to the tavern that has drawn crowds is your ability to choose from 150ml or 250ml glasses of white, red and rosé wines. The latest menu also comprises six cocktails including Mango Margaritas, Apple Martinis and Guerrilla Daiquiri’s. 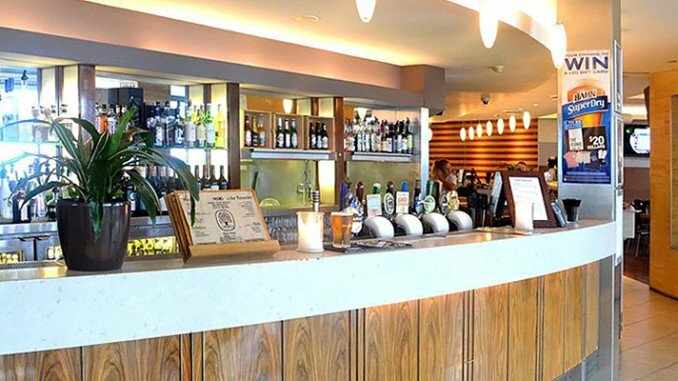 So whatever type of atmosphere you enjoy whilst sipping on whatever beverage, and whether you want lunch, dinner, a solid night of drinking or relaxed pre-drinks, the Orchard Tavern can provide for you. 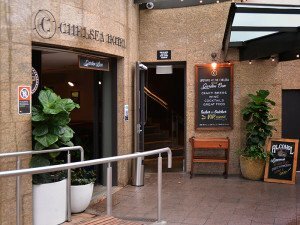 Similarly, the Chelsea Hotel lies on the opposite side of the train line, just down Railway Street a stones throw from the Chatswood station concourse. The Chelsea Hotel is a bit more modern and stylish than the Orchard and is pitched towards business people. This establishment has at least two bars as well as a beer garden and indoor dining area, along with the usual gaming room and other gambling facilities. The menu is a bit more classy to that of the Orchard, but this shows in price. For an average of $18-$19 you can choose from mains that include burgers, fish and chips, pork belly and steaks. Pizzas, salads, sides and a kid’s menu are also on offer. Pitched as a more stylish establishment to the Orchard, Chelsea Hotel offers a larger list of wines and cocktails, but a smaller selection of beers. Four different sparkling wines, seven whites and eight reds cost between $6.50 and $8.50 per glass. Just like the Orchard, six cocktails are on offer and these cocktails are only $9 each on Saturday nights! A further four variations of cocktails are available but only in large portions as they are meant to serve four people. Single-serve cocktails include passion fruit mojito, Geisha girl (Absolut vodka, raspberries, lychees, etc…) and Sailors delight (spiced rum, pomegranate syrup, pineapple juice and fresh lemon). Shared cocktails include two variations of sangria and the Chelsea Punch (Absolut pear vodka, Chambord, fresh citrus, mint, etc…). The Orchard Tavern stays open until 4AM on weeknights, 6AM on Friday and Saturday nights and until midnight on Sundays. The Chelsea Hotel is open until 1AM on weeknights and Saturdays and until midnight on Sunday. So whether you want a small crawl through Chatswood, lunch or dinner with mates or pre drinks for even bigger plans, the Chatswood CBD is an acceptable location for all of the above. 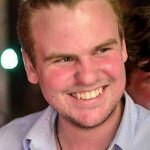 Jack is currently studying a double Bachelor of Social Science, majoring in Public Policy Law and Governance with the Bachelor of Law at Macquarie University. Jack has a keen eye for social events in Ku-Ring-Gai involving the younger generations and believes more emphasis should be placed on the provision of such events. He cares about the development of the community of Ku-Ring-Gai and passionately supports the nurturing of Australia’s future by focusing on such community bases.